Documentary/science-fiction hybrid. Two episodes watched for review. The younger Kelly accounts for an all-too-rare moment of humanity within a genre-bending project that’s nominally about humanity’s present and future. 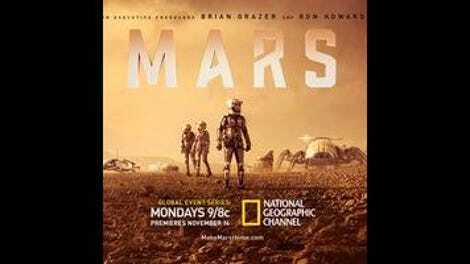 Based on the book How We’ll Live On Mars by Stephen Petranek, the miniseries takes a dual approach to answering the book’s theoretical. In documentary footage, Petranek, Elon Musk, Ann Druyan, and others detail the preparations being made for an eventual one-way trip to Mars. 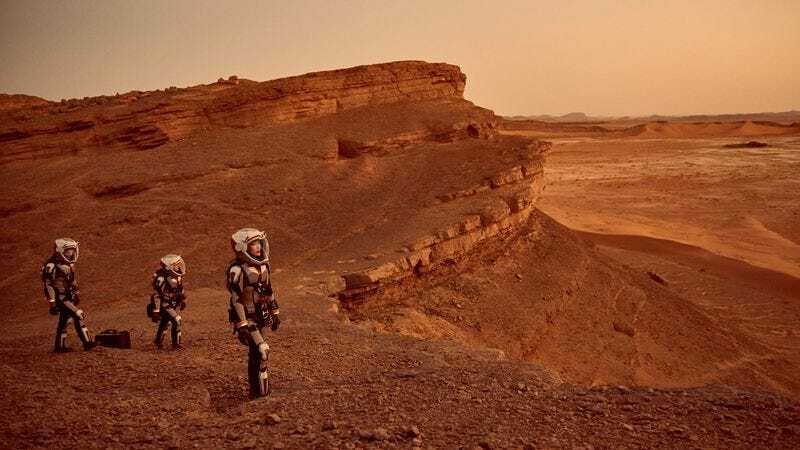 Those preparations are then borne out in scripted scenes set in 2033, where an international band of colonists embarks on the seven-month journey to our nearest planetary neighbor. But one half of the equation is always diminishing the other: Charlotte and Scott Kelly exhibit the type of relationship that can’t be ginned up for the fictional astronauts. Likewise, special-effects-laden, Nick Cave-and-Warren Ellis-scored scenes of space travel contain levels of drama and action that can only be implied in a Neil DeGrasse Tyson talking head. Sometimes, Mars splits the difference, like when it cuts between the failed landing of a Falcon 9 rocket and the dejected SpaceX engineers watching a simulcast of the fiery wreck. Mars’ primary mode of distinguishing itself from similarly themed cinematic efforts is the scientific backing it puts on the screen. The Daedalus’ mission remains in the realm of science fiction, but the series derives a great deal of excitement from showcasing the people working to make it a reality. In the first episode, this comes across a bit too much like an advertisement for SpaceX, but the Kelly-focused passages of episode two offer a course correction. There’s a clever sequencing at play in the opening chapters of Mars: The first episode is about the equipment we’ll need to get to Mars; the second episode is about equipping ourselves for the ride. But Mars itself is a ride that’s only worth taking part of the time. It might be too scientific to achieve its ambitious aims, any feelings evoked on either side of the format divide needing to square with a rational, analytical case for going to Mars. And unlike previous, fictionalized space-exploration tales told by executive producers Ron Howard and Brian Grazer—Apollo 13, the HBO miniseries From The Earth To The Moon—Mars isn’t shedding light on the lives of people we only know from the news. (It’s no wonder the Kelly family steals the show in episode two.) As the miniseries tells it, the tools necessary for settling Mars will need to be multipurpose: rocket boosters that can be deployed for multiple launches, interchangeable circuitry for mid-mission emergencies. Unfortunately, Mars itself isn’t as versatile.